Adorable baby!!! Pretty skirt! Thanks for hosting the party. Beautiful skirt! I love the pocket fabric... so pretty! I love brown and the contrasting fabric is lovely. Pretty for spring. Thanks for hosting. Glad that your Dad will be spending Easter with you and your family!! Wishing you a blessed Easter!! 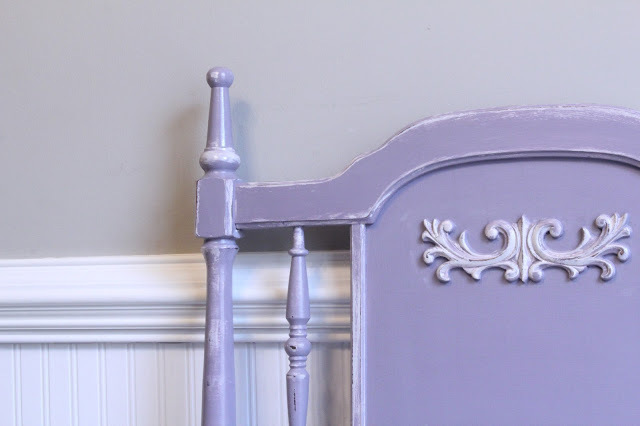 Thank you for featuring my Trash to Treasure headboard. I'm glad you liked it. How cute! Happy Easter to you and your family. 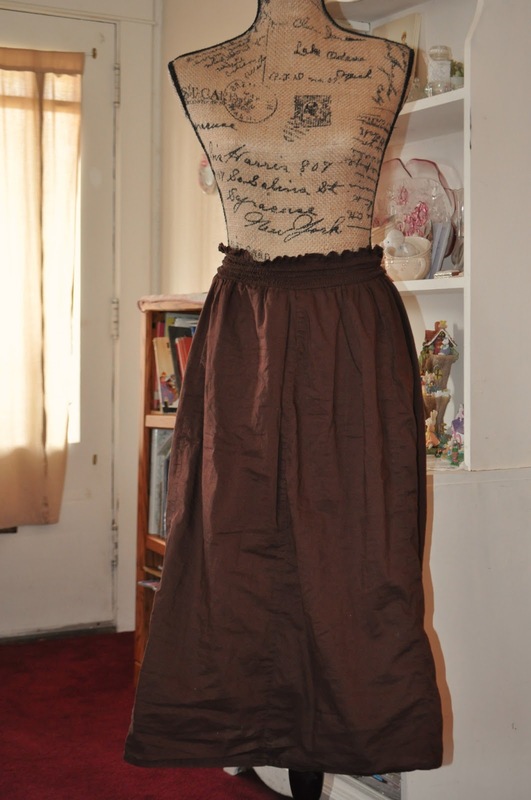 I LOVE the brown skirt re-make!! 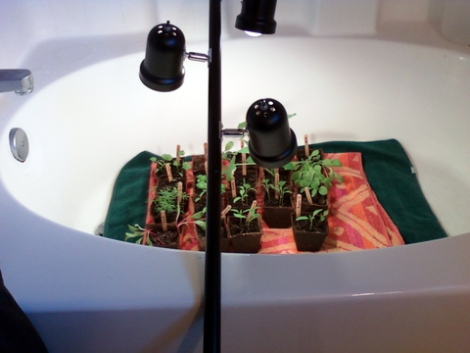 VERY cute and pretty :) An the little plants with the grow light gives me an idea! Also, as we follow along with Jesus'last week before going to His Father, I am so thankful we don't get what we deserve! It is all for His namesake and ultimate glory! Oh, what a wonderful Savior we have! May you have a blessed Resurrection celebration with your loved ones! Hello dear Sarah! Lovely skirt and baby Brenna is so adorable and sweet! Thank you for hosting and have a very happy Easter! Have a lovely Easter! Love the skirt makeover. Sarah, I just linked up and made a boo-boo! The #40 should be 'Running the Race'. If you'd change it (if you can) I'd be so grateful! Thanks you, dear Mama! Love the skirt! I wish I were more handy when it comes to sewing. I've also been thinking/praying about the idea of wearing more (or maybe exclusively) skirts...but my hubby's not on board with the idea. Sarah, your baby Brenna is adorable! Thanks for hosting and have a beautiful Easter weekend with your family. SORRY for the inconvenience I so appreciate our friendship! Beautiful dress! Thanks for a chance to link. 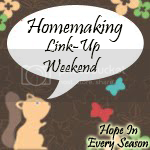 I'd love for you to link up over at HomeEducatorMom.com. Have a wonderful Easter! You did a beautiful job on that skirt! very sweet skirt! 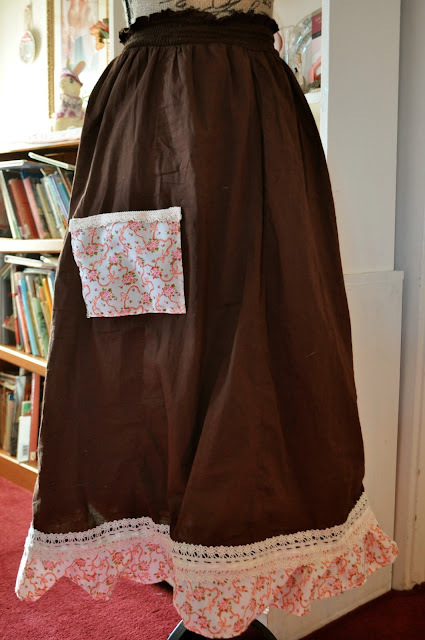 I so need to get my sewing machine out and see if i can still do it! I haven't used it in years but am itching to! thanks for swinging b frugalfitfamily! I buttoned up!! have a great Easter weekend! Great idea! I hope you have a lovely Easter with your father! I love that the trim adds a bit of colour to the skirt and adds a feminine touch! Thanks for linking up this weekend! Love your skirt, Sarah! Gave me a great idea for a too-short skirt of mine. If I blog about it, you get all the credit! Thanks for sharing this on The HomeAcre Hop! See you Thursday on the next hop! What a great way to add a personal touch to a simple skirt! Love it! Thanks for sharing this one in The Bliss Project link up, too. Thanks so much for hosting! AND thanks so much for the feature! hope you're having a super week! How cute is that smile on your sweet babies face? Good job on the skirt. Thanks for sharing it with SYC. Pockets are ALWAYS good for a busy mom! I love brown and the coral/pink color is such a pretty contrast! Thanks for hosting the link-up and I love your skirt make-over! Very pretty! My daughter and I have started a new blog together and we would love to have you stop by. Visiting through Wholehearted Home. I admire people with that kind of creativity! The skirt turned out cute. I just don't see things like that! Hope to see you again this Sunday! Cute idea!! I love brown but since it is spring that is a nice 'take' on brightening up a brown skirt. Thanks for sharing this idea on WholeHearted Home."